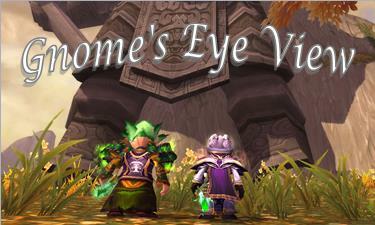 We are pleased to welcome Lumpen and Kimmi from Gnome’s Eye View to the Twisted Nether Blogcast on Sunday. If you have any questions please make sure to send them in prior to showtime to info@twistednether.net or bring them to the chatroom! When is it? : This live show is scheduled for Sunday, March 16th at 8pm PT (11pm ET). Not sure what time that is for you? Use this handy-dandy time converter!